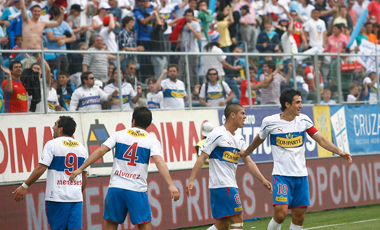 The 0-0 isn’t the most popular score line in Chile’s Primera División, but thanks to some wonderful goalkeeping from Paulo Garcés and Cristopher Toselli, coupled with poor finishing the ‘Clásicoo Universitario’ between Universidad de Chile and Universidad Católica served up a goal less draw. The result leaves Católica seeking qualification to the play-offs going into the final week. The game can be filed into the ‘exciting 0-0’ category as two sides with contrasting styles of play came together at a sun-baked Estadio Nacional; proactive v reactive. La U looked to pass their way through UC with invention and speed and Los Cruzados settled for a direct approach on the counter-attack. 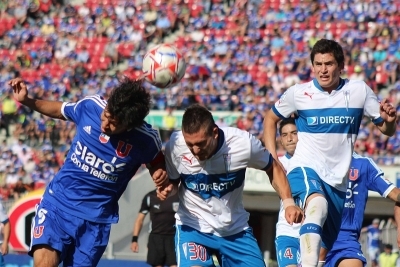 The tumultuous start to the Chilean Apertura continued as four teams picked up their first win of the season, Universidad de Chile suffered a heavy defeat in Rancagua, Colo Colo were booed off again and TRO keeps getting things wrong. 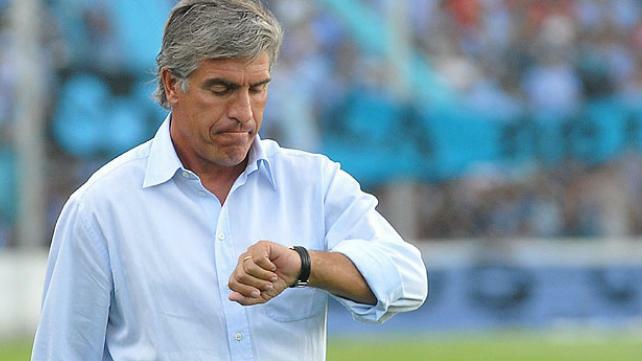 However a win still eludes Audax Italiano (and Cobresal) despite remaining highly watch-able. This time they were out-done by a Daniel Carreno’s Palestino who have been unlikely to have to wait until the fifth week to collect their first win. But from the game question marks still persist over the way Omar Labruna sets up his Audax side. Elsewhere it was Cobreloa’s turn to occupy top spot after a comprehensive 3-0 success away at Rangers. Their sheer consistency has been enough to put them above everyone else, despite having played one game less. 1. Signing of the season? I know there have only been two games played, heck Universidad de Chile and Cobreloa have only played one, but Unión Española are looking mightily impressive. Add in their first round Copa Libertadores matches and they couldn’t have started the season much better. 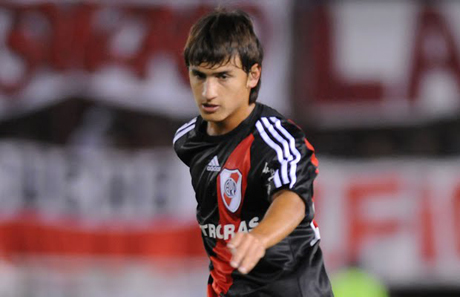 At the heart of their good play has been River Plate loanee Mauro Díaz. Stationed on the left of the midfield three he has personified La Furia Roja’s expansive and high-paced play. The Santa Laura side attempt to use every inch of the pitch to stretch the opposition. The full-backs are pushed high and wide while the wide forwards in the 4-3-3 play as inverted wingers but look to hug the touchline opening gaps in defences before coming in to combine with the midfield and striker Emmanuel Herrera (or Sebastián Jaime). Díaz, part of the fluid midfield three, is industrious, energetic, tenacious but uses the ball intelligently, belying his 20 years of age. He is giving allowances to join in attacks but also provide coverage to a defence that has its pressure points especially with no natural holding midfielder (Braulio Leal is the closest to playing that role). Jean Paul Pineda and Sebastián Saavedra also deserve a mention. Pineda has consistently troubled full backs with his pace and trickery so far while Saavedra looks to be another promising and gifted attacker. 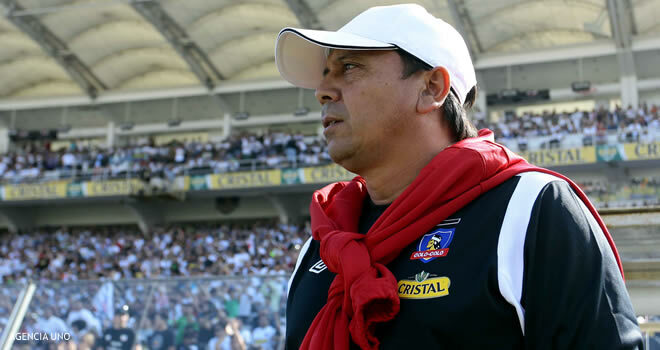 It was Universidad de Chile last year, Deportes Iquique last week but now it’s the turn of Unión Española and Mauro Díaz to entertain.